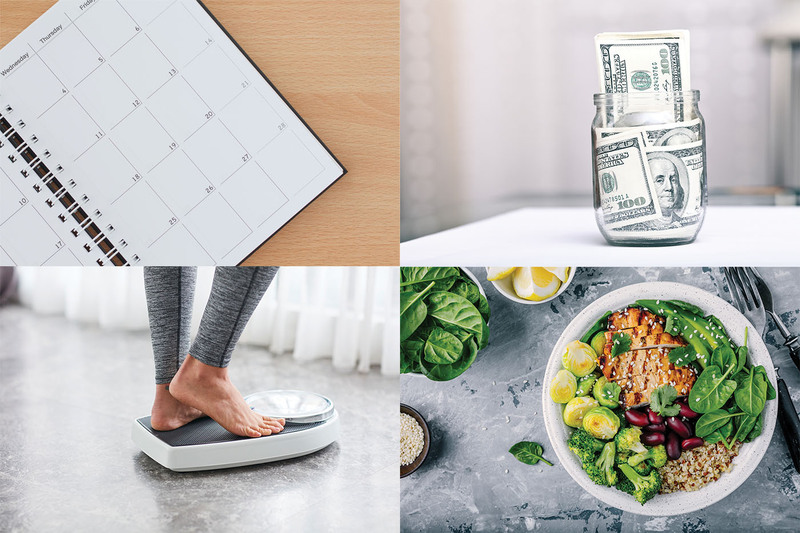 Around this time each year you will start seeing posts on the internet with phrases like “New Year - New You” and “The Top 10 Resolutions of 2019.” Approximately 45% of Americans make at least one resolution in January. Setting goals and trying to make a better version of ourselves is a great part of our culture. 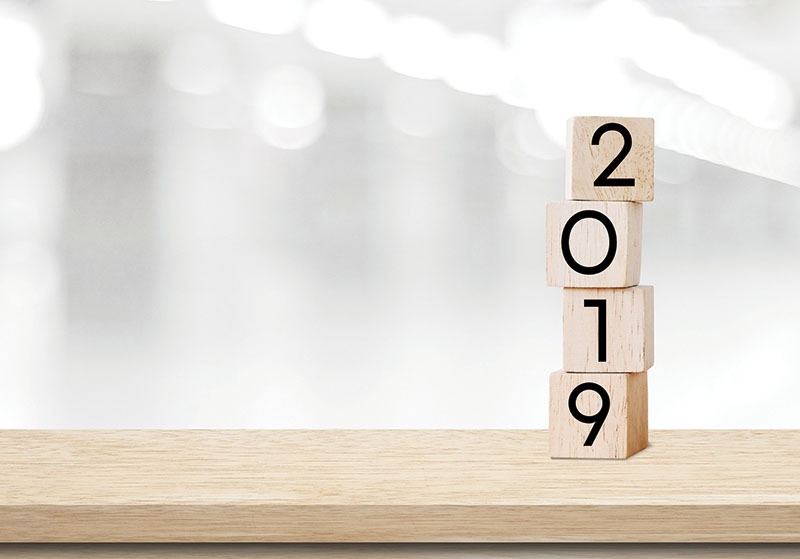 The new year brings a great time to evaluate the past 12 months and to look forward to the opportunities that lie ahead in the new year, but are New Year’s resolutions the most effective way to set goals? In an article written by Susan Weinschenk, Ph.D., behavioral psychologist, author, coach, and consultant in neuropsychology titled, The Science of Why New Year's Resolutions Don't Work, Weinschenk explains that it is estimated that less than 10% of New Year's resolutions are actually achieved. New Year’s resolutions are fated to fail. This is likely because most people don’t know how to set a reasonable resolution. A lot of the New Year's resolutions people set have to do with making new habits or changing existing ones. It is unrealistic to think that you can immediately overcome a habit you have spent years establishing all at once. An important tool in helping a resolution come to fruition is using metrics to track your progress. Traditionally, a new year’s resolution is a vague statement with only a few of words like: Eat healthier, be on time to work, get more exercise, and save money. These examples are so broad and don’t have any metric to be measured with. They are extremely hard to accomplish. Another problematic aspect of setting New Year’s resolutions is that as people fail at their goals (and trust me that will happen) they subconsciously feel that they have failed for the whole year. They also feel that they shouldn’t set new goals until the next new year even though it may only be February. A study done on 'Gym Memberships Started in January' explains that 4% of new gym goers don’t even make it past the end of January and 14% more drop out in February. New Year’s resolutions can be motivating for a lot of people. The new goal brings excitement to starting a new period in life. That positive energy should be used to set goals, but the timing of a New Year's resolution is not always ideal. Not only are you coming off of the holidays and getting back to the harsh realities of the world, but you see the whole year stretching ahead of you. It can be very overwhelming. So, if New Year’s resolutions are not effective should we write off setting goals all together? In Lewis Carroll’s famous book Alice In Wonderland there is a passage where Alice is talking with the Cheshire Cat regarding the path she should take. Like this passage from Alice in Wonderland explains, if we don’t care where we are going, or where our new year is headed, then no goals are necessary - but where we end up depends largely on the goals we set for ourselves. So, if New Year’s resolutions are not the best route, how does one set a realistic goal for the new year? In the article The Science of Why New Year's Resolutions Don't Work, Weinschenk explains that one of the main behavioral sciences that influence New Year's resolutions success includes the science of habits. As human beings we have hundreds of habits. They make up our day-to-day lives. One of the most effective ways to reach a New Year’s resolution is to start by incorporating small habits that will build up to your end goal. This will help rewire your brain and increase your chances of success. A point made by Weinschenk explains that it is critical to attach the new action to a previous habit. It is also critical that the additional habit is simple and easy. Quoting Weinschenk "You MUST pick a small action. 'Get more exercise' is not small. 'Eat healthier' is not small." This is a big reason why New Year's resolutions don't work. For example, instead of "Get more exercise" choose "Walk 1/3 more than I usually do" or "Take the stairs each morning to get to my office, not the elevator." If you currently have a habit of being late to work, setting a goal to get to work on time will take a lot more effort then just writing it down at the beginning of the year. You could start by establishing the habit of waking up 5 minutes earlier each day. After a few months of waking up earlier you could evaluate how you are doing and add on another small habit. Again, this additional habit should be simple and attached to a previously established habit. New Year’s resolutions imply that they should only begin at the beginning of the year. This can be another reason resolutions are hardly carried out. In order to be successful in goal setting regular evaluation is key. It is important to revisit your goals at least once a month. In doing this you will be able to refocus and realign with what is most important for you in that time. I have never been a fan of New Year’s resolutions. I felt that I was setting myself up for failure. This year instead of listing an abstract goal like "eat healthier," I will think of specific small habits I can incorporate into my normal everyday life. And if I fail at any of these small steps — which I’m sure I inevitably will, I'll do my best to give myself some slack and recognize that failure and recovery are part of the goal setting process. I’ll pick back up and not wait until the new year to start again. We can all find more success if we take a new approach to setting goals this year. Good luck with your goals in 2019.